As you noticed, this is also my new blog header. But the whole picture is too cool to pass up. I was out driving about a few nights back and I noticed a thunderstorm approaching. So I drove out of Woodstock to a lonely place and took 600+ pictures over the next 1 1/2 hours. 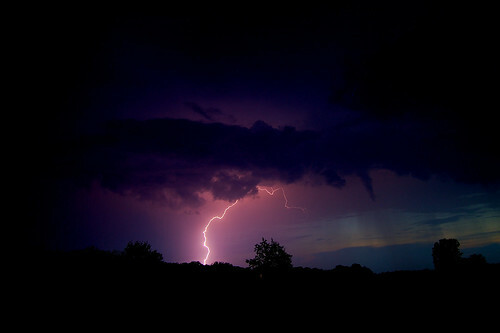 Getting a picture of lightning is no easy task. I also like this lightning picture, and this one.